On Sunday, Hillary Clinton announced that she will run for president. There will be stark differences between this race and her failed 2008 run for president. This time, her aides have been saying for days, the focus will be on the American people, not on Mrs. Clinton; on their needs and concerns and not her reach for history. “Everyday Americans need a champion, and I wanna be that champion, so you can do more than just get by — you can get ahead and stay ahead because when families are strong America is strong,” Mrs. Clinton said. In 2008: Mrs. Clinton sat in a sumptuously appointed living room, alone as she faced the camera. This time: She doesn’t even appear in her own video until a minute and a half in, after cameos by more than a dozen people representing a demographic cross section of America. Even then the view is the back of her head. 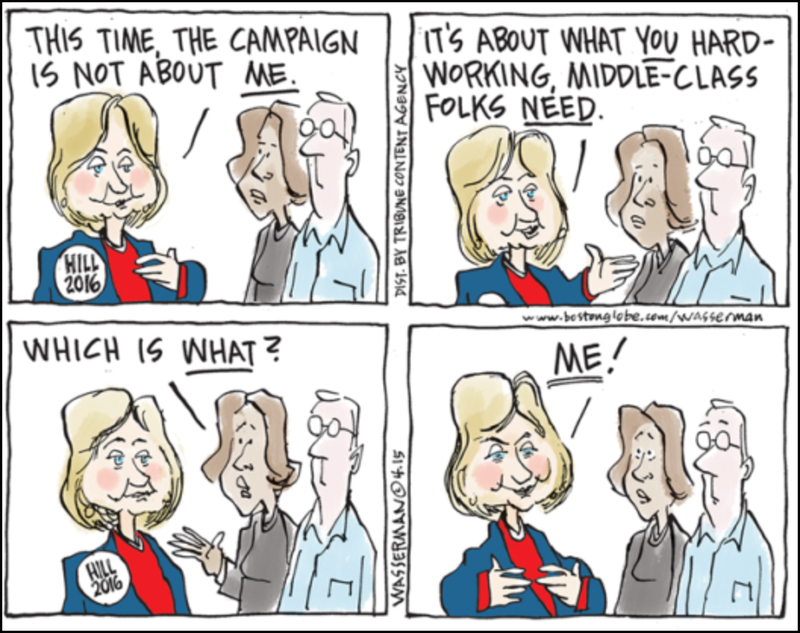 This time: Only five uses of the word “I” as Clinton moves to make her campaign a communal effort, and one that focuses strongly on the economic unease that has persisted during the two terms of the man who defeated her in 2008, President Obama. If Clinton’s effort this time is meant to do anything, it is to undo the destructive sense last time–particularly early on–that hers was the entitled, imperial candidacy, that she was owed the White House.